Putin signs hostel ban bill into law | Russian Legal Information Agency (RAPSI). MOSCOW, April 16 (RAPSI) – Russian President Vladimir Putin has signed a bill banning hostels and hotels in residential premises of multifamily dwelling into law. The document has been published on the official website of legal information. The ban will become operational on October 1. 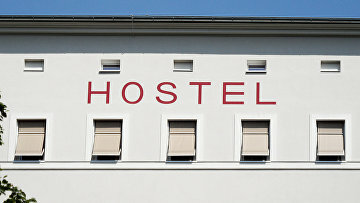 Under the law, hostel services will be prohibited in residential multiple dwellings until the premises are registered as non-residential properties, fit with needed equipment, room acoustic isolation system, cleaning tools and fire and alarm systems. The upper house of parliament, the Federation Council, defeated the initial bill on March 13. Senators suggested to amend the bill with a provision stipulating its entry into force on January 1, 2020. A special mediation committee was established to finalize the document. On April 4, the State Duma passed a final version of the bill. The Federation Council approved it on April 10. Amendments will be introduced to the Housing Code of Russia.